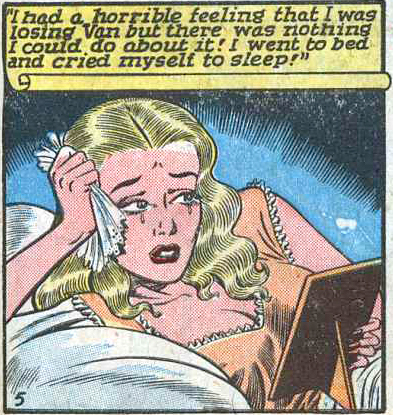 Art by Bill Ward from “Vengeance of Love” in Diary Loves #2, 1949. But you’re too good for that aren’t you? So, instead, you opt to be mature and sensible. And put dog poop in his heat vents.